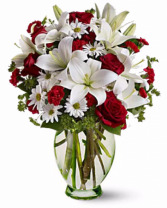 Turn on the charm with this elegant white and crème bouquet. 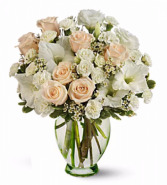 Delivered in a Clear Glass Vase, the delicate arrangement is as romantic as they come. 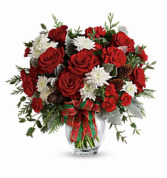 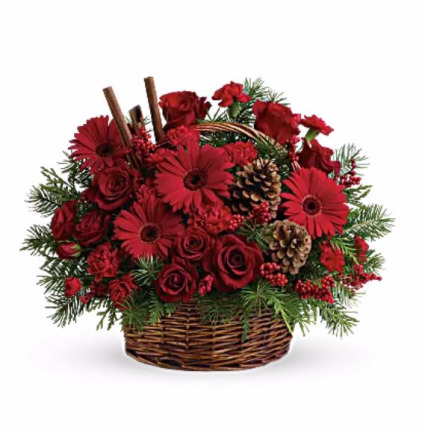 Give the gift of holiday style with this mix of Christmas crimson and winter white blooms, all wrapped up with a festive plaid ribbon in a classic ginger jar.